Colt 1911 Officer Wood Grips Checkered With Logo - Vintage Gun Grips - Reproduction Pistol Grips, Buttplates and Grip Caps. 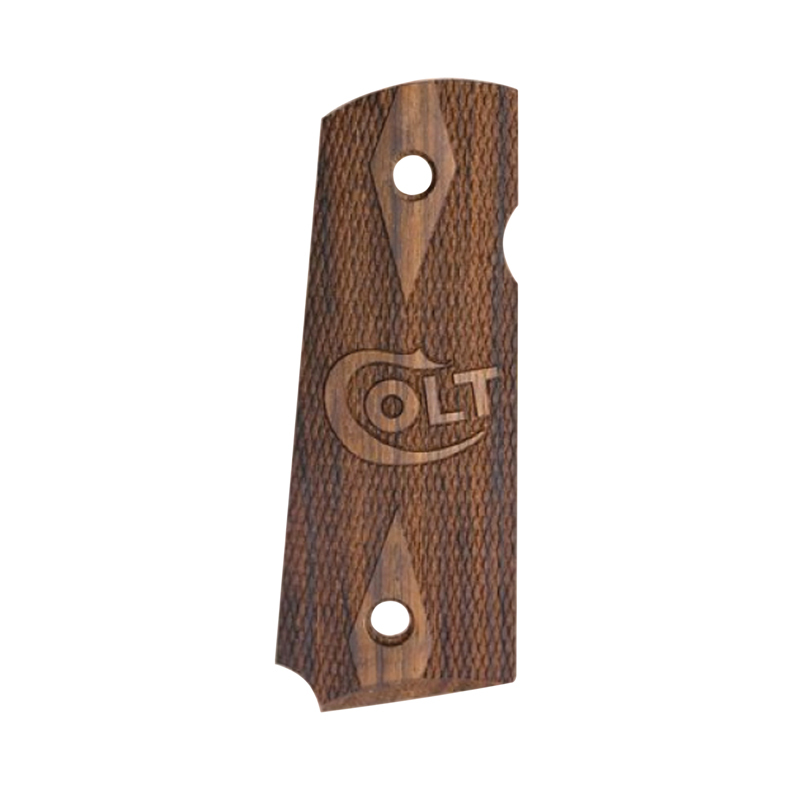 These fine wood grips fit the Colt Officer Models, ACP and Defender. Made from English walnut, checkered and engraved with the Colo logo. Oil finished.